Bombardier Aerospace will temporarily cease production of the Learjet 60XR later this year due to flagging demand for the $13.71 million, eight-passenger twinjet. Bombardier Aerospace will temporarily cease production of the Learjet 60XR later this year due to flagging demand for the $13.71 million eight-passenger twinjet, the company announced to employees at its Wichita facility late last week. 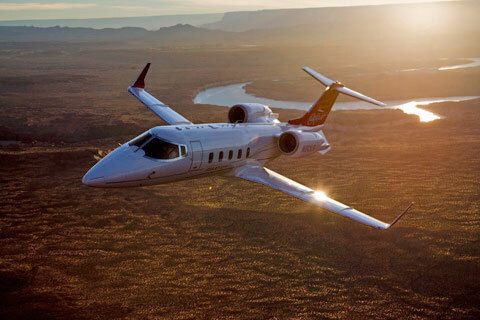 Though the “production pause” will start late in the fourth quarter, “We will continue delivering Learjet 60XRs into 2013 and we will be honoring all orders for the airplane,” a Bombardier spokeswoman told AIN. The aircraft manufacturer delivered three Learjet 60XRs in the first quarter, equaling deliveries in the same period last year. Eighteen 60XRs were handed over to customers last year, and since production began 21 years ago 409 Learjet 60/60XRs have been delivered as of April 30, the spokeswoman said. Bombardier will release second-quarter delivery numbers on August 9. According to the spokeswoman, the Learjet 60XR airframe is made entirely in Wichita, making it the only Learjet still created there. The Learjet 40 and 45 are assembled in Wichita, but their subassemblies are made at other Bombardier facilities around the world. This will also be the case for the upcoming Learjet 70, 75 and 85. Bombardier is still actively marketing the Learjet 60XR, and one will be on display next week at LABACE in São Paulo, Brazil. However, there are no further investments planned for improving the 60XR, the spokeswoman told AIN.